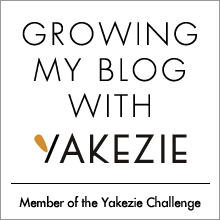 Yakezie Challenge Update 7/14/14 – I broke 100,000! Want to Join the Challenge? 1) Install the Alexa toolbar if not already and comment what your current Alexa ranking is, so we can keep track. 2) Write consistently 2-4 times a week on your own site and consider guest posting around the community including on Yakezie.com to raise your profile. 3) Install the Yakezie Challenger Badge. 4) Announce on your blog that you have joined the Yakezie Challenge. 5) Selflessly promote others and build relationships. 6) Stay committed and consistent over the next 6 months! Whether you are a huge blog or a start-up, everybody most go through a 6 month Challenge period to ensure that we build the best relationships possible. 7) Come introduce yourself on the Yakezie Challengers Forum and get to know your fellow Challengers and Members. 8) Once the 6-month challenge is over, let us know how far you’ve come in the forums, on your blog, and via an e-mail. If you’ve developed good relationships, broken 200,000 in Alexa, and are ready for the next step, we will invite you to submit a form and write your Yakezie Member Post and become an official member. Good job, Gretchen! I managed to get around the 50,000 mark, and then I slacked off my site for awhile, so I’ve been slowly creeping back up. I think I am in the 130k range. Meh, I’m okay with that, because I stopped thinking of my site as a potential business. Congrats! That is quite an accomplishment. I had joined the challenge and broke 200,000 but not 100,000. Way to go! Thanks – you’ll be there soon too! Congrats on getting under 100,000. Glad to hear you joined the Yakezie challenge! I think the Yakezie challenge is soo cool. It obviously helps tons of bloggers out there. Hey, your Alexa looks like mine…I guess that means we’re racing! Oh yeah – I love competition, so the Yakezie Challenge was perfect for me. Plus, it promotes helping other bloggers so that awesome! I definitely like the community Yakezie’s put together. Maybe I’ll join again. We’ll see! It has definitely help motivate me! Congrats on breaking 100k! I really need to get back into Yakezie – the forums are so valuable. Yep, the forums provide so much support and great advice! Nice work Gretchen! It is good to see your site doing so well. Keep up the great work and you will surely break 50k. Thank you! 50K will be a hard one! Yeah, it’s tough. Or, google changed how they determine page rank….that seems to happen a lot. I have been reading a lot of blogs that are partaking in this challenge so I decided to install the toolbar but I have no alexa ranking information! I would at least like to have a starting point to see my progress. Is there a resource for tips on improving the score or do you just continue to write and blog as you normally would? Congratulations, that’s awesome! My rank seems to be backtracking the past few weeks for the first time and I don’t think I changed anything. Oh well, I guess it might end up taking me a little longer than 6 months. That’s really frustrating! Google seems to change things all the time, it’s so hard to keep up! Keep going!